Breeches are a bottom wear which are loose from the waistline almost forming a 'c' shaped curve till knee and tightly fitted towards the ankle having chafe patches at the inside seam. 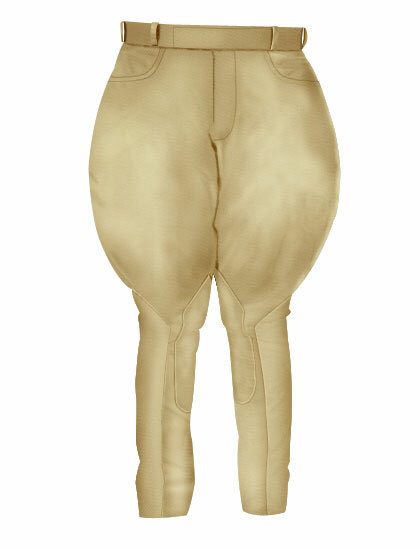 The riding breeches come along with double chafe patches and double patch at the seat. Initially worn only for polo matches by the players, breeches have now evolved as a bottom wear garment worn along with Bandgala, Bush coats, Jodhpuri Sleeveless Jacket and Hunter Jacket.